Six players currently contracted for Spanish La Liga clubs have been shortlisted for the 2017 Golden Boy award. The award is run by Italian newspaper, Tuttosport, with the award given to Europe’s most-impressive footballer under the age of 21. 25 of the most promising players in Europe are shortlisted each year, dating back to 2003 when the Golden Boy award first started. Real Madrid forward Borja Mayoral is among the nominees. The 20-year-old came through the youth system before spending last season on loan at VfL Wolfsburg. He scored and provided the cross for the own goal which led Zinedine Zidane’s side to victory at Real Sociedad on Sunday. Espanyol defender Aaron Martin is the second and final Spaniard on the list of nominees. The second most expensive player in the world, Ousmane Dembele, who signed for Barcelona over the summer, is among the favourites, after his outstanding performances for Borussia Dortmund last season that earned him his big money move following the departure of Neymar. Emre More, who was a teammate of Dembele’s last season, made a surprise move to Celta Vigo towards the end of this summer’s transfer deadline, is also nominated, as are Theo Hernandez (Real Madrid) and Enes Unal (Villarreal). Bayern Munich’s Renato Sanches won the award last year off the back of winning Euro 2016 after breaking into the Benfica first team. His move to the German giants has yet to work out for either party and is currently on loan at English Premier League side Swansea City. Sergio Aguero was the last player to win the award whilst based in La Liga. The Argentine was playing for Atletico Madrid in 2007 when he won the award. Barcelona’s Lionel Messi is the only other La Liga player to win the award – taking the crown in 2005. 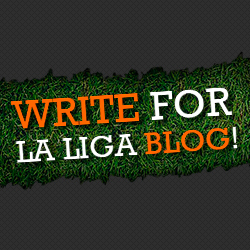 Founder and chief editor of La Liga Blog, Andy fell in love with Spanish football after a university placement year in the Costa Del Sol. His favourite Tapas is Albondigas and on Saturday afternoons, Andy can regularly be found trying to emulate his hero Carles Puyol for his amateur football team.